A recent study by volunteers of Kildare Branch of Birdwatch Ireland revealed that Clane is at risk of losing a species that has graced our skies since possibly the first buildings were built in Clane. A bird with an amazing story: the swift. 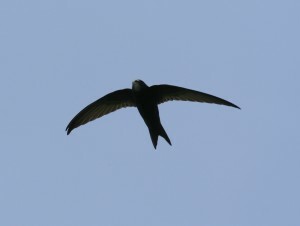 Swifts only spend a few months of the year in Clane, arriving in late April from sub-Saharan Africa, and departing by the end of August. Somewhat similar to swallows, house martins and sand martins, swifts are perhaps twice as large with stiff scythe like wings. They can sometimes be heard frantically chasing and screaming after each other in and around our buildings in the summer evenings. Swifts are true masters of the air. They eat, drink, mate and even sleep on the wing – in fact swifts typically only stop flying to breed. So, once young swifts leap out of their nest for the first time, they may not stop flying for two or three years, until they are ready to look for a nest site themselves and start a family. 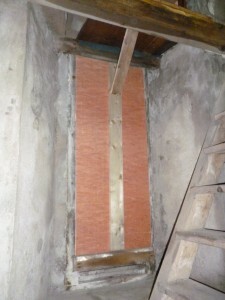 Swifts typically nest in gaps under roof tiles of tall buildings, but modern building and roofing techniques are making it more and more difficult for them to find suitable nesting sites. 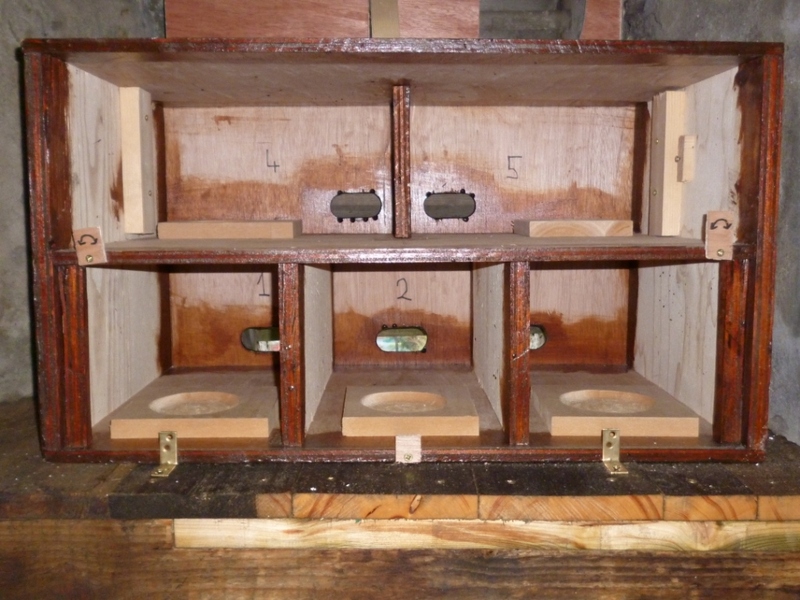 Luckily solutions are not too complex and volunteer groups such as the Northern Ireland Swift Group are working to raise awareness and improve the lot for these birds. 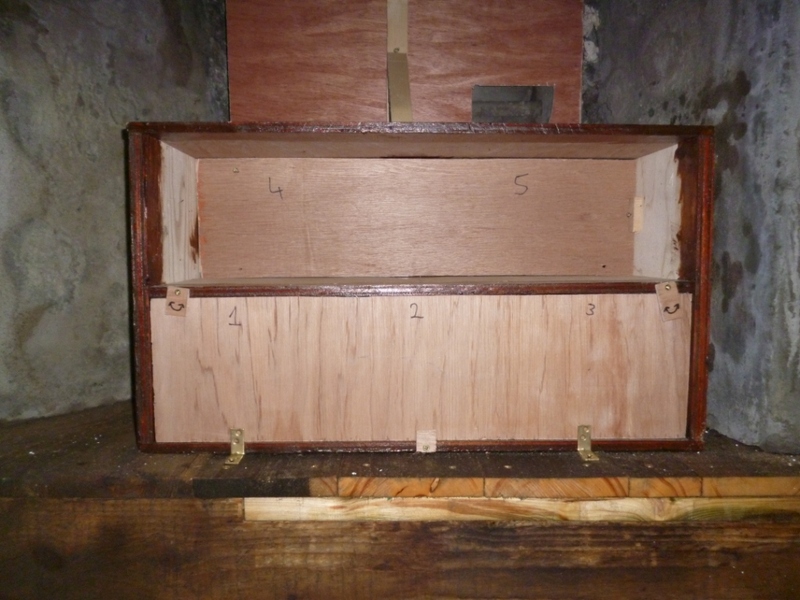 Last year about 10 swifts were seen flying in and around Clane, but only two swift nests were actually located – both in very old buildings, and one in a building that may be redeveloped shortly. 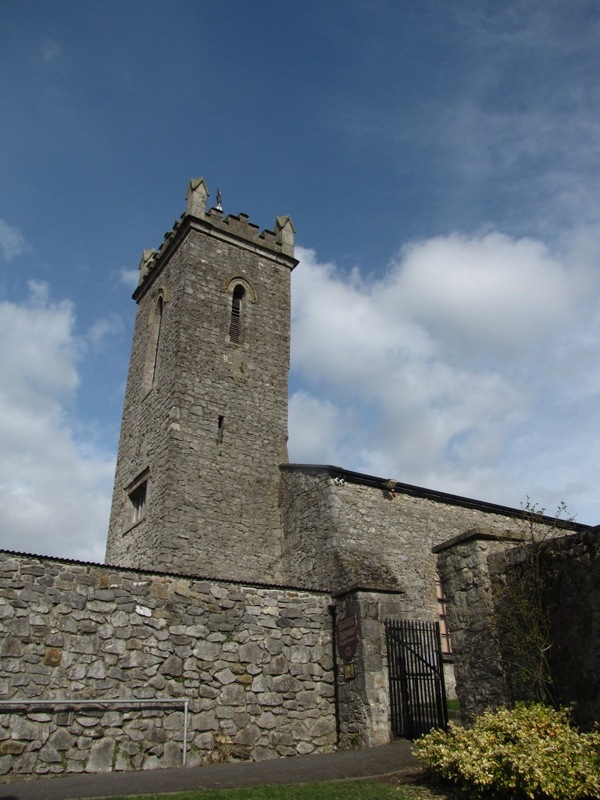 With the possibility of existing nest sites being lost, Clane Community Council and Clane Tidy Towns have made a special effort to preserve this species in Clane by providing dedicated accommodation for swifts in the tower of the Abbey. 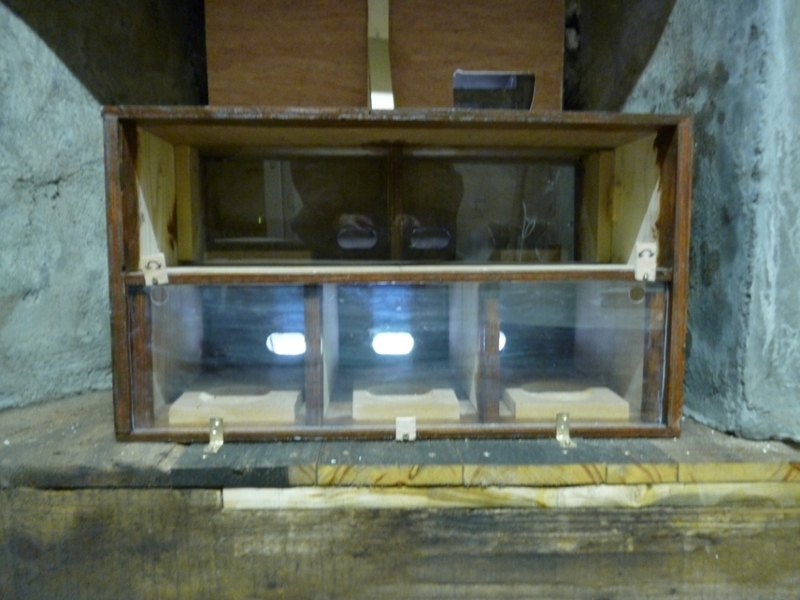 A swift colony nest box that includes space for five nests has been specially constructed and installed behind the louvres of the window high up above the main door to the Abbey. The entrances are designed to line up with existing gaps in the louvres, and yet not let starlings in. The rear is designed to allow the nests be checked discreetly, and cleaned. 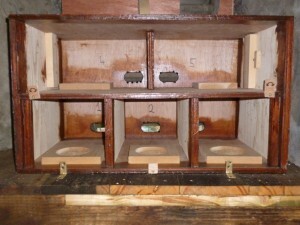 Each nest includes a simple ‘concave’ to keep the eggs from rolling around and possibly even out of the nest box. The next challenge in this project will be encouraging swifts that have been flying non-stop for two or three years to finally come to a rest and consider a nest site in this particular window. Although one of the current nest sites is nearby, success is not guaranteed. Another factor is food supply. Swifts only eat insects, so the health of our surrounding gardens, fields, rivers and countryside will also be important to ensure that there are enough insects for them to breed successfully. However, fingers are crossed. If the younger swifts simply discover the nest boxes this summer it could be an important step to securing the presence of this amazing bird in Clane for hopefully many years to come. 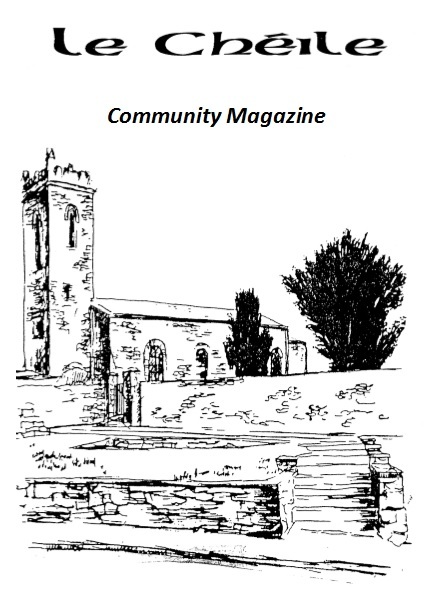 This entry was posted in Clane Community Council, Tidy Towns, Wild About Clane and tagged birds, Clane, Tidy Towns, Wild About Clane on May 4, 2012 by jkennedy.